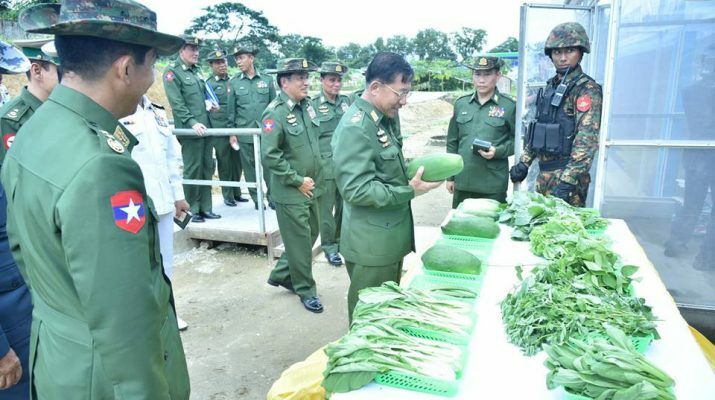 Military-owned farming and livestock breeding are not meant for profits, but for social welfare, said Commander-in-Chief of Defence Services Senior General Min Aung Hlaing who called for selling those products for minimum profits. 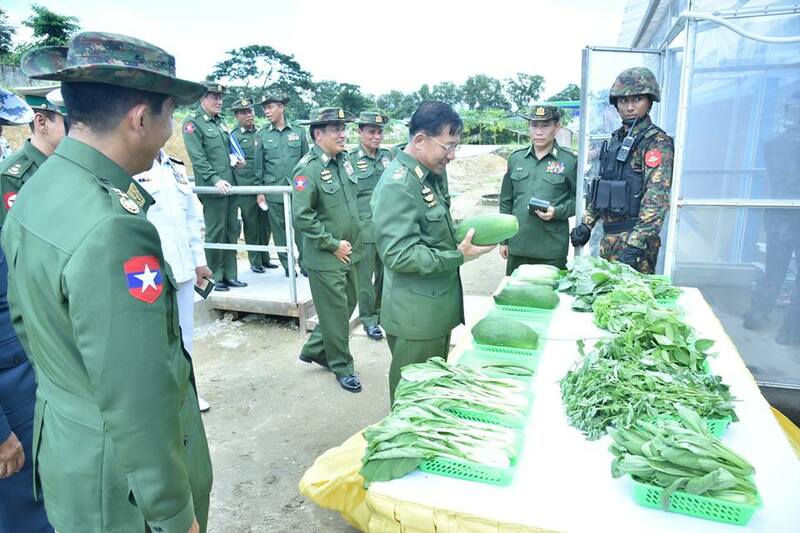 The Senior General, during his visit to No.1 Agricultural and Livestock Breeding Camp of Yangon Region Command this afternoon, urged the respective commands to systematically expand their farming and livestock breeding so as to distribute products not only to families of service personnel, but also to civil servants and local people in concerned regions at reasonable prices. 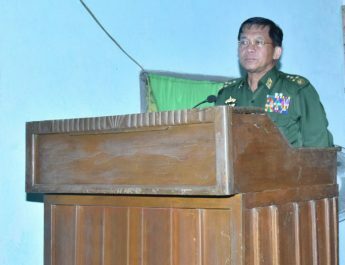 The Senior General and party visited the No.1 Agricultural and Livestock Breeding Camp of Yangon Region Command, and the commander, at the briefing hall, reported on breeding of DYL pigs, Novogen Brown layer hens, dairy cows, and fish as well as growing of seasonal crops, banana and drum-stick, and greenhouse farming, cultivation with hydroponic method, and distribution of agricultural and livestock products to Tatmadaw families and civil servants, and local people as well as Taing Shwegon shops at reasonable prices. In response to the report, the Senior General remarked that military-owned farming and livestock breeding must directly contribute to the livelihood of Tatmadaw families, and production costs must be minimized. He also stressed the importance of avoiding the use of chemicals in production process, and instructed the officials to maintain the pedigree of Novogen Brown layer hens and DYL pigs. He also urged the officials to systematically and properly raise large number of dairy cows. 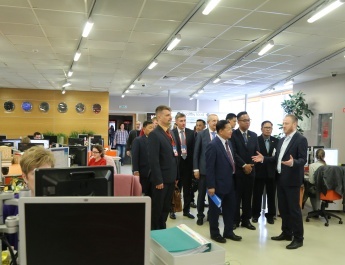 Next, the Senior General and party went to Novogen Brown egg incubator and inspected the production of chicks with the use of incubator and machines. 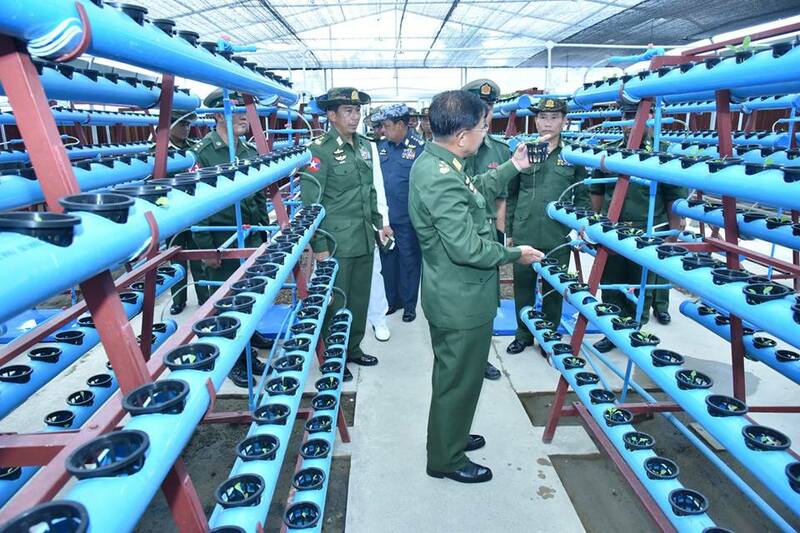 They then inspected the nurseries of mustard, sweet pepper and salad grown under hydroponic system. Growing crops under hydroponic system needs more investment but it produces benefits such as the capabilities to grow crops all the year round, to grow fresh fruits and vegetables in urban areas with little land space and to grow safe and nutritious fruit and vegetables. 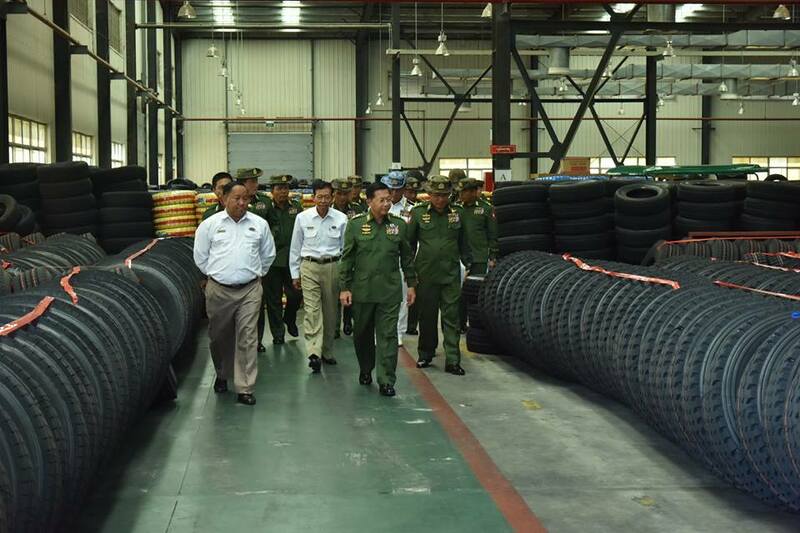 Afterwards, the Senior General and party visited the Tyre Factory (Ywama) of Myanmar Economic Corporation. At the meeting hall, the factory manager reported on the objectives and data about the factory and production of four kinds of truck and bus bias tyres, eight kinds of truck and bus radial tyres, 12 kinds of passenger car radial tyres and four kinds of special tyres. 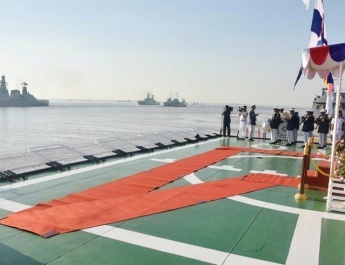 Giving instructions, the Senior General said the factory aims to manufacture import-substitute products as a lot of tyres have to be imported yearly. He stressed the need for production at full capacity, mass-production of goods with little profit and research on tyre market. Later, the Senior General and party gave their signatures on the new type of tyre and looked round in the factory.